What Is Target Heart Rate and Why Is It So Important? Target Heart Rate or THR is the optimal or ‘target’ level of heart beats per minute to reach during exercise – especially if you’re doing HIIT – to attain heart health. If your heart rate is too low you won’t get any cardiovascular benefits. Too high and you may be placing your heart at risk. The number of heart beats per minute while you’re at rest is referred to as ‘resting heart rate.’ During physical exertion your heart rate elevates from this resting rate to respond to the body’s demands for more oxygen and blood. ‘Target heart rate’ is the the ideal heart rate you want during your exercise if you want to achieve heart health. It’s different for each person – generally between 50% and 90% of your maximum possible heart rate depending on your health. Maintaining a workout level at this target helps build heart and lung strength as well as energy and endurance. We also call this target level of exercise a ‘cardio’ or ‘aerobic’ workout. There are many methods for finding your target heart rate including one that’s rarely used but quick, easy and surprisingly accurate. Before looking at these let’s briefly review the benefits of the target heart rate. Exercising at your target heart rate is the only kind of exercise that achieves heart health. This is why cardio exercise is considered one of 3 essential exercises that the body needs. Your target heart rate is different from everyone else’s so it’s important to know how to find it. If you’re a beginner, start at 50-60% of your maximum heart rate which is basically a warm-up zone. I’ll show you methods for finding this in a moment. Moderate exercisers should aim for 60-70%. Regular exercise in this zone is the most helpful for weight loss efforts. Athletes normally train at 75-90%. Exercising with a heart rate of over 85% of your maximum is known as ‘anaerobic.’ Let’s look at this level because it has benefits as well as drawbacks. Aerobic means ‘with oxygen’ and anaerobic means ‘without oxygen.’ Anaerobic exercise refers to a high level of exercise where your body’s demand for oxygen is greater than it can supply. What happens then is your body pulls energy stored in your muscles instead of your fat or the food and liquid stores currently in your body. This is not necessarily a bad thing. Anaerobic exercise increases endurance, develops stronger and leaner muscle and improves your body’s ability to take in oxygen. 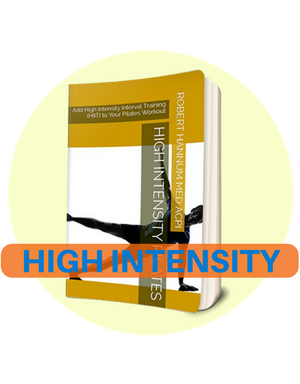 Research into a particular kind of anaerobic exercise known as HIIT (high intensity interval training) shows fascinating results including more fat burning in less time and stimulation of HGH, a natural growth hormone which may delay aging. See my article for more about HIIT and how you can apply it to just about any exercise routine including Pilates. There are several ways to find and monitor your target heart rate (THR). The most accurate method used by professional athletes is the stress test. You’ve probably seen pictures of an athlete on a treadmill with wires and hoses all over her! Other ways include heart rate monitors and charts which are available online and at any sporting goods store. Another way, and the most popular, is a formula just updated by researchers at the Mayo Clinic. They found that peak heart rate (PHR) does not decline as much with age as previously believed. The old formula for peak heart rate was 220 minus your age for men and 226 minus your age for women. Now it is much more accurate. For men it is 216-93% of your age and for women 200-67% of your age. So as a 61 year old male my PHR is 159 beats per minute. To find your target heart rate, simply calculate a percentage of your peak heart rate which would be 50-69% for moderate exercise and 70-90% for intense exercise. 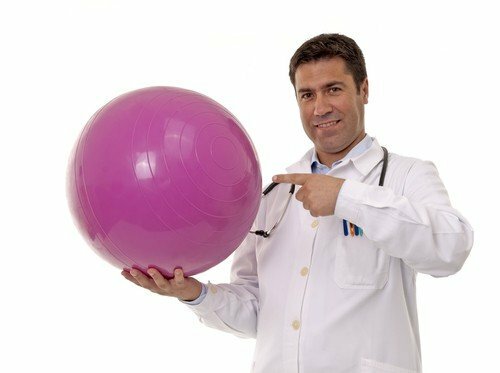 If you exercise regularly and have no medical conditions, you should shoot for a THR in the 70-90% range. Thus when I’m working out my THR is 90% of my PHR which equalls 143 beats per minute (BPM). The easiest way to find your BPM is to press your index and middle fingers against the carotid artery in your neck. The easiest method and my favorite is the simple ‘talk test’ also known as ‘perceived exertion’. Research concludes, “Not only does the Talk Test provide a very useful tool for establishing and monitoring exercise intensity, but it may also contribute to the safety of exercise training.” Instead of purchasing a device, counting pulse beats and calculating formulas, simply use this easy and surprisingly accurate measure: if you can carry on a conversation, you’re exercise is not as intense as it could and should be. If you can’t talk at all it’s too much. If you can just manage a one-word answer such as “yup” or “nope”, it’s the perfect intensity! Now keep it there for at least 20 minutes for optimum cardiovascular benefits. Exercise beginners as well as older bodies tend to tire more easily and have less interest in exercising at their target heart rate. 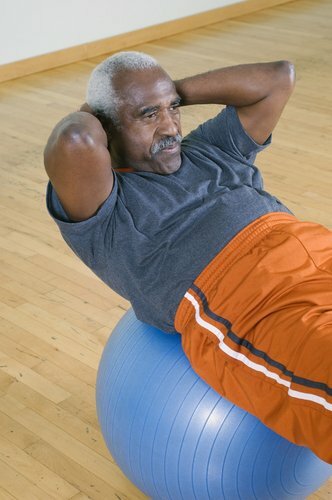 But cardio exercise is essential at any age and fitness level. So consider turning your favorite exercise into an aerobic routine on a regular basis. For instance, if you love hiking, find a trail that includes 2 or 3 short steep parts. Or take your Pilates routine which already includes stretching and strength training, and add your target heart rate by taking out all of the pauses – let my eBook High Intensity Pilates be your guide. If this is too much, find other ways to do a rigorous workout at least weekly such as walk with your golf bag rather than ride. Or pick one day a week to push yourself in circuit training or Pilates. Walk the stairs rather than take the elevator. Don’t let aerobic exercise disappear from your workout. Exercising at your target heart rate doesn’t have to be every day or even every other. Research indicates that once a week may be enough. If you found this article helpful please like it and share it by clicking the icons at the top of this page – thanks!